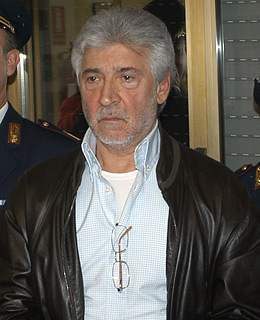 The arrest last week of Salvatore Lo Piccolo was a triumph for Italian law enforcement: the second Capo dei Capi, or boss of bosses, of the Cosa Nostra, the Sicilian Mafia, to fall in as many years. But each leader  captured or at large  adds to the mystique of the still deadly 150-year old organization. It continues to lord over life in Sicily, and do business with criminals across the globe. All too often, the symbiosis between Mafia legend and reality only adds to the difficulty in trying to dismantle it. Looking through the biographies of its top bosses, it is important to know the folklore, but to stay focused on the facts that matter. Here are snapshots of some of the Mafia's notorious leaders from the past two decades. FOLKLORE: At the moment of their arrest on November 5, Lo Piccolo's son Sandro shouted out to his father: "I love you, papá . I love you papá!" This kind of public family drama no doubt echoed some of the dialogue from the HBO series The Sopranos. But the intrigue increased a few days later when police confirmed that they had found a one-page document they believe the Palermo boss had written for would-be mobsters to avoid trouble. Among the so-called Ten Commandments: Do not covet the wife of your fellow mobster; and do not steal from other Mafiosi. Not on the list: "Thou Shall Not Kill". UGLY TRUTH: The Lo Piccolos are both convicted murderers. Police believe in the months before their arrest, the pair were successfully consolidating their power in and around the Sicilian capital, both by intimidation and by stepping up collaboration with American mobsters in the drug trafficking business.